MMA fans in New York are in for some good news, as the State Senate voted to legalize MMA in The Empire State. 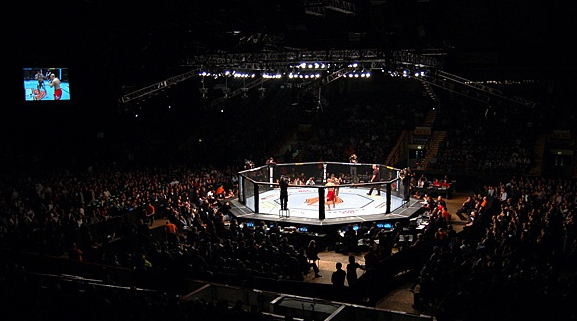 Last Monday, the New York State Senate voted to regulate Mixed Martial Arts in the state. Though the passage of the bill was hailed as breakthrough by UFC President, Dana White, it still has to get through the State Assembly and be signed by Gov. Andrew Cuomo before it becomes a law. UFC had a full-court press conference at the Madison Square Garden in New York last January, promising that the state will host two promotional events within the first year of the legalization. Once the bill is passed by the lawmakers and signed by the governor, a 90-day waiting period is required before sanctioning any events. The State Senate vote of 42-18 brings UFC fighters like Matt Serra and Jon Jones one step closer to competing in their home state. Prior to this, New York is one of the six states in the US that do not regulate MMA. In case you live in New York and your state starts regulating MMA, what bout would you like to see first?